Internet has certainly changed the way we share information and communicate to the consumers, in last few years, which has a great impact on marketing. 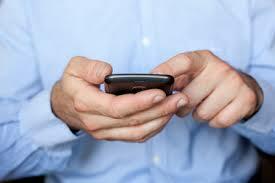 Past few years have seen many businesses shifting their budget from outbound marketing to inbound marketing. Content has gained a lot of importance these days as it not only helps you with branding and audience growth but also with revenue generation. 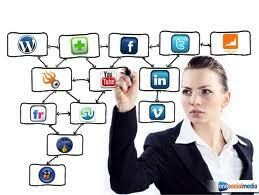 The year 2013 is about to leave and 2014 is going to arrive with new updates and ways of marketing. So let’s get prepared before the New Year arrives and discuss what marketing trends are expected to rule the next year. People are kind of fade up with interruption marketing as in the marketing that tends to interrupt them while they are on their go. Inbound marketing however gives the command to the consumers to act according to their whims and get engage whenever they want. 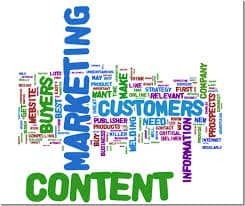 Content marketing has become a great way to establish your business’s authority and gaining consumer’s trust by educating and entertaining them and that too whenever they want. As per a recent study, the most practiced content marketing strategies are eNewsletters, social media, articles on own and other websites, case studies and videos. The latest trends say that marketing through TV or radio ads are becoming less effective and people are getting inclined to inbound marketing to a greater extent. So it is wise to concentrate more on inbound marketing by generating informative, helpful and engaging content designed according to your audiences. 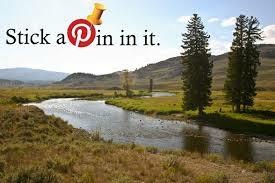 The power and viral potential of image-based content is clearly evident from the success of Buzzfeed and Pinterest. Talk about the successful blogs or the social media sites, they usually have one thing in common that they place an emphasis on images to put across a clear picture of what they are trying to say. Take infographics for instance, they are a great example of the people’s love for image-centric content. Although the traditional text-based content will never become outdated, yet it cannot be denied that including images is valuable to a marketing campaign. Social Signals although cannot be compared to the traditional inbound links when it comes to effectiveness yet the role that they play in organic search ranking also cannot be overlooked. Google’s main aim is to provide people with the most relevant and highest quality content possible and it is no wonder if they take social shares in to account that a product page, blog post or article receives. It is obvious that the content is of higher quality if it is getting shared repeatedly and that it deserves to have a better ranking in the search engine ranking pages. 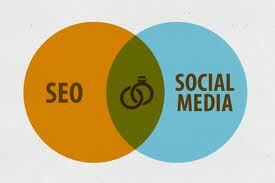 So more the social shares content have, better will be its ranking in the search engine ranking pages. Besides, if a customer lands on a page and finds the business to have hundred and thousands of shares, they get an impression that there is of course something of value and that social signals act as trust signals for them. This is why businesses are installing social share plugins in order to get maximum shares by the consumers. So, these were a few online marketing predictions for 2014 that will help you create your online marketing strategy for 2014 in a much better way. You might have come across a few. Please let us know about them and also your views on these predictions.